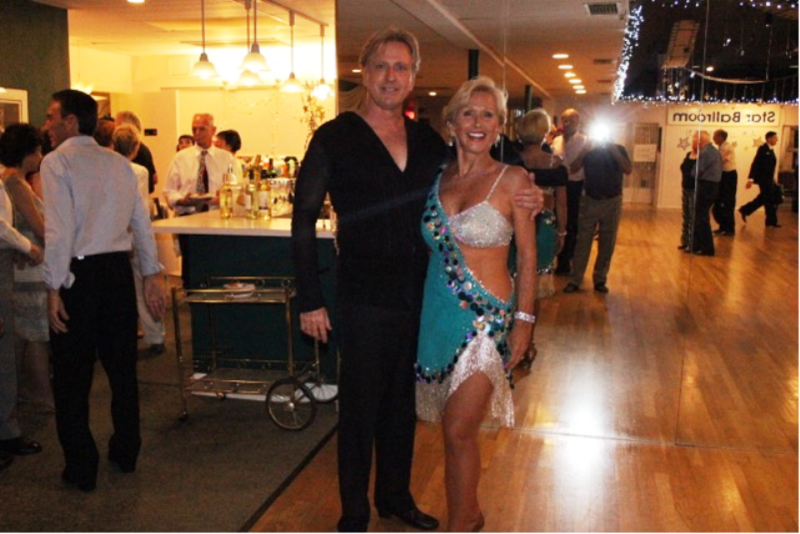 Star Ballroom | Jody Dancer & Brian Smith, Two of our Team of Exceptional Instructors - Gave a Spectacular Show at One of our Special Dance Parties! Jody Dancer & Brian Smith, Two of our Team of Exceptional Instructors - Gave a Spectacular Show at One of our Special Dance Parties! Our Instructors Jody Dancer & Brian Smith gave a Spectacular Show at One of our Special Event Dance Parties at Star Ballroom! Here they are after the Show. What a talented and world-class team of Instructors we have at Star Ballroom! Come for Group Classes or Private Lessons! We offer Group Classes every day and evening of the Week, except Sundays. And, private lessons with any of our exceptional Instructors can be arranged, at your convenience. « Star Ballroom NIA Classes with Jody Dancer – Featured in Pelican Newspaper – July 21, 2017!